Yale's teaching and learning philosophy begins with the aim of training a broadly based, highly disciplined intellect without specifying in advance how that intellect will be used. This approach goes beyond the acquisition of facts and concepts to cultivate skills and habits of rigorous, independent thought: the ability to analyze, to ask the next question, and to begin the search for an answer. They hope these courses will be a resource for critical thinking, creative imagination, and intellectual exploration (Source). Perhaps if a forum, or comment (or even a rating) section is added to each learning resource shared (and general one for the course), we can discuss and reflect together what we have learned, and perhaps collectively use our critical thinking, creative imagination and intellectual exploration to add learning value and even construct new knowledge. To achieve Yale's great teaching and learning philosophy, perhaps that is something each course should add (I certainly agree with George Siemens reflections!). Though, each course does provide a feedback survey, so that is a good start. Perhaps the next step is to add a blog for each course that posts the latest updates and news, and other course related stuff. William and Flora Hewlett Foundation. Hewlett Foundation President Paul Brest says "Making the talents of Yale's faculty available for free on the Internet is an important step toward the Hewlett Foundation's goal of providing access to knowledge and educational opportunities throughout the world...Truly, all the world is becoming a classroom." Great! Let's hope the global classroom soon empowers two-way communication, too. 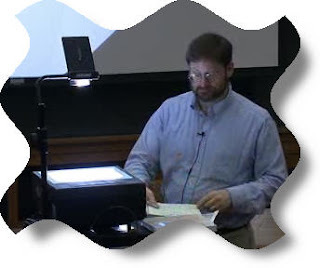 The Open Yale Courses consist of educational materials in various formats, including downloadable and streaming video, audio only and searchable transcripts of each lecture. Syllabi, reading assignments, problem sets and other materials accompany the courses. Approximately 30 additional Yale courses will be added over the next several years.